Remember his dismissal at Chepauk on Sep 11, 1979 – Caught Venkatraghavan bowled Kapil Dev, a 32 year old Dilip Doshi made his debut. Andrew Mark Jefferson Hilditch, was a qualified solicitor, but one who lacked the IQ to cut out the hook, a stroke that consistently brought about his downfall. After hooking Richard Hadlee twice, getting out and going to oblivion, he was to be appointed national selector in 1996-97 and along with illustrious names like Allan Border, Trevor Hohns and David Boon, he helped guide Australia to world dominance at both Test and one-day level. Perhaps his going again was not all that sweet !! What is sportsmanship and what is playing within the rules ? – issues that will always remain, as definitions could get redefined !!! 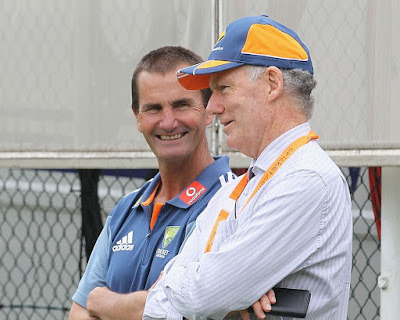 ~ media calls it vexatious issue of sportsmanship in cricket rearing its ugly head yet again, this time at the under-19 World Cup in New Zealand. 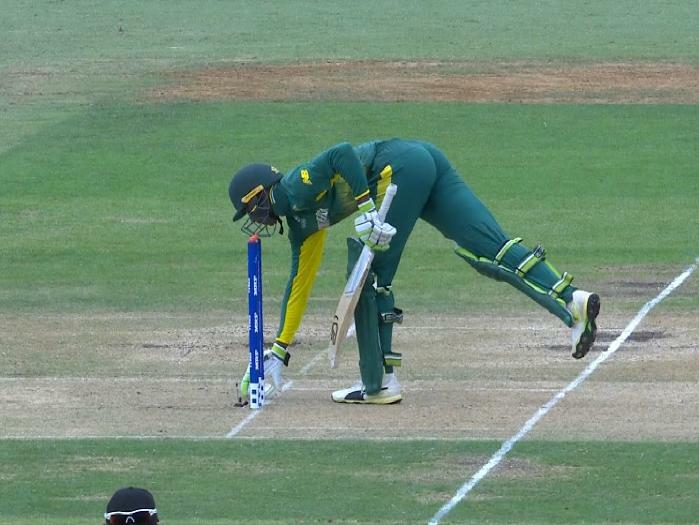 South Africa were 3-77 in the 16th over when opener Jiveshan Pillay was given out ‘obstructing the field’. Pillay, who was on 47 off 51 balls, inside edged a drive back onto his body. The ball trickled back towards off stump, stopping centimetres away from the pegs. Pillay turned around, picked up the ball and threw it to West Indian gloveman — and captain — Emmanuel Stewart, who promptly appealed. - If, in the act of playing the ball, the batsmen wilfully strikes the ball with a hand not holding the bat, unless this is to avoid injury. — If either batsman should wilfully obstruct or distract a fielder preventing a catch being made. — If, at any time while the ball is in play and without the consent of a fielder, he uses his bat or any part of his person, to return the ball to any fielder. The last point is most critical in the case of Pillay, as the ball must’ve been ruled to have been ‘in play’ despite it resting on the pitch. Equally vital is the notion that you don’t have to be given out just if you protect your stumps with your hand. Technically, a batsman cannot return the ball to a fielder “without the consent”. 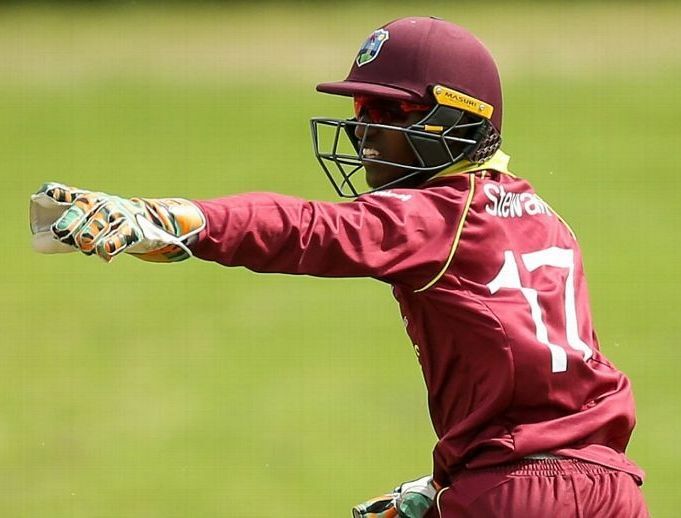 Emmanuel Stewart, the West Indies captain and wicketkeeper, made the appeal after Pillay picked up the ball close to off stump, even though it was stationary after rolling off an inside edge. The third umpire Ranmore Martinesz was called in and the decision went in West Indies' favour after a long wait and a number of replays. The appeal — and subsequent dismissal — drew widespread criticism on social media. However it was appealed and given out anyway !! 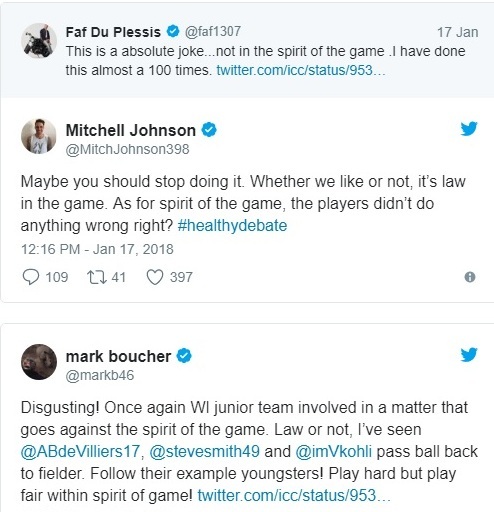 As could be seen, while Mark Boucher tries to dig the past, Mitchell Johnson sounded pragmatic. In Feb 2016 The West Indies Under-19 team was labelled "absolutely disgraceful" after a controversial Mankad secured a narrow two-run victory over Zimbabwe in the ICC U19 World Cup. Zimbabwe needed three runs to win with just one wicket remaining when fast-bowler Keemo Paul began the final over of what was a thrilling match in Chittagong. As Paul approached the wicket to bowl the first ball over the over, non-striker Richard Ngarava began to slowly walk out of his crease in the quest for a quick single. But instead of starting his delivery stride as he ran past the wicket, Paul quickly removed the bails with the ball in his right hand and appealed for a run out. The TV official reviewed the footage and correctly ruled that Ngarava was just out of his ground when the bails were removed. The decision of out handed the Windies a two-run win and a spot in the quarter-finals, while it also ended Zimbabwe's tournament. West Indies captain Shimron Hetmyer said he was comfortable with his decision to not withdraw the appeal. Flashback : In 1987 at Lahore, in Reliance World Cup 4 wickets from Imran Khan kept West Indies down to a sub-par 216 in the first innings, and Pakistan were comfortable enough in pursuit at 92 for 3 and then 183 for 5. Then Courtney Walsh got rid of Saleem Yousuf, who had shepherded the chase with a fifty, and Patrick Patterson's last over brought two runs and two wickets. Pakistan had lost four wickets for 20 runs. The boot was on the other foot. Pak needed 14 off six and Walsh was the bowler. Abdul Qadir and Saleem Jaffer at crease – 1,1,2, 6 (Qadir),2 – 2 off the last – Walsh ran in, so too was Jaffar at non-striker, who could have been mankaded – Walsh gave him a warning, earned the name ‘gentleman’ – Qadir hit the runs and WI were out of the World Cup. Flashback 2 : Andrew Hilditch, 1979, Australia v Pakistan, 2nd Test, Perth. Hilditch was given out handled ball and became the only non-striker to have been given that decision. Hilditch picked up a wayward throw that had dribbled onto the pitch and handed the ball back to Sarfraz Nawaz who appealed and the umpire had to give Hilditch out. This fracas was quite possibly in retaliation for an equally unsavoury incident earlier in the day when Pakistan's No. 11 Sikander Bakht was run out by Alan Hurst at the bowler's end whilst backing up too far - the fourth such instance in Test cricket.